Blackjack Surrender is very similar to Blackjack but as the name suggests you are allowed to Surrender your hand. In some games that offer the Surrender option you are only allowed to do so after the dealer has checked his hand for Blackjack and this is known as 'Late Surrender'. If at any time during the game you feel your hand is going to lose you may Surrender. If you do Surrender you will lose half of your bet and be out of the game instead of losing your entire bet. - Dealer stands on soft 17. 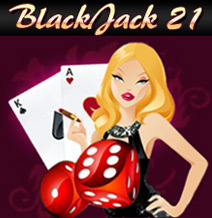 - Blackjack beats a hand of 21. - Players have the option to Surrender. - When players Surrender they only lose half their bets. - Any pairs can be split. - Players may not re-split on any hand. - Doubling Down can be done after splitting. - You can't Double Down on a Blackjack.